A few of my friends from college created an alcohol delivery app called Klink that delivers alcohol to your door (as easy as ordering pizza). 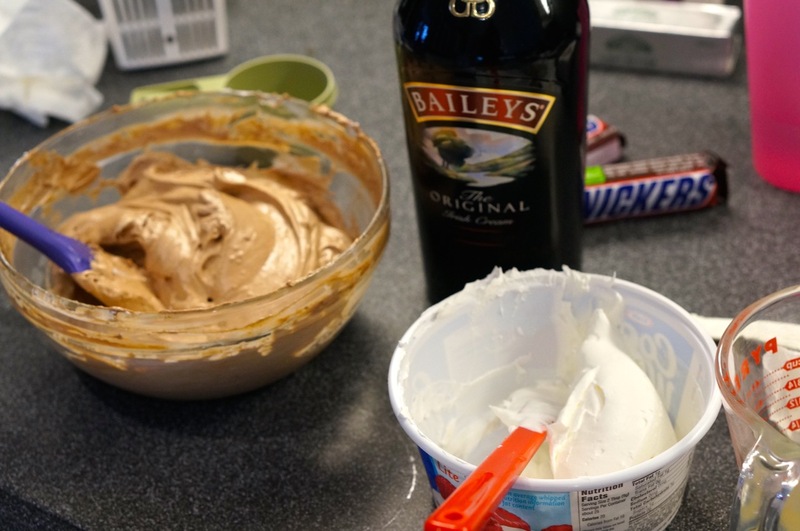 They asked me to come up with a New Years Recipe for their blog. As usual I started searching on Pinterest. 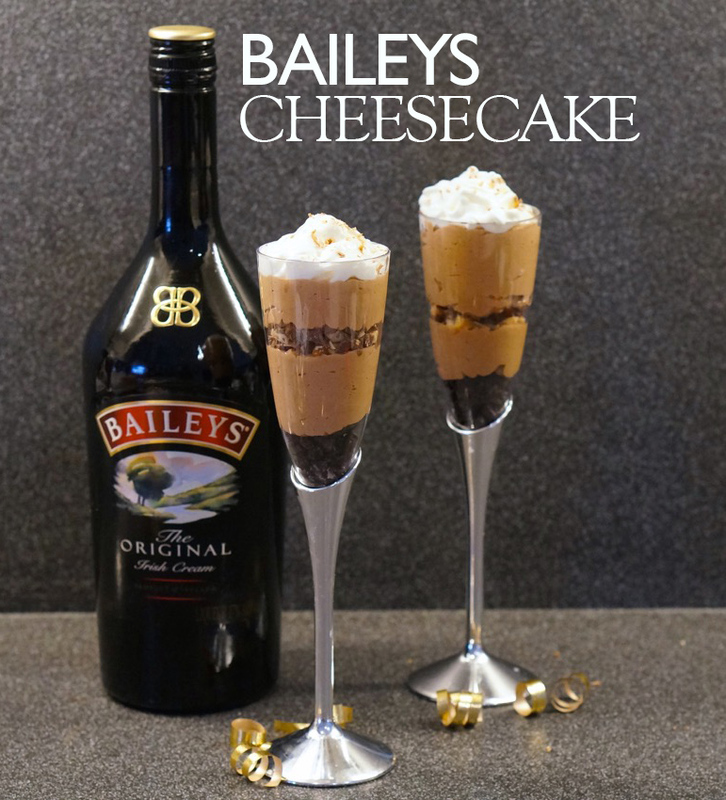 I noticed a few different Baileys cheesecake recipes, but they all seemed complicated and kinda boring. 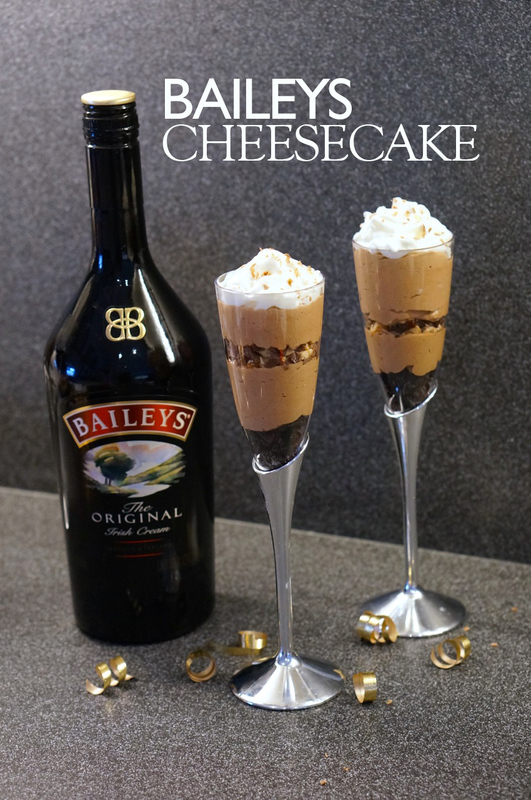 I decided to adapt a few different recipes that I found to make these awesome New Years NO BAKE Baileys Cheesecakes in champagne glasses! 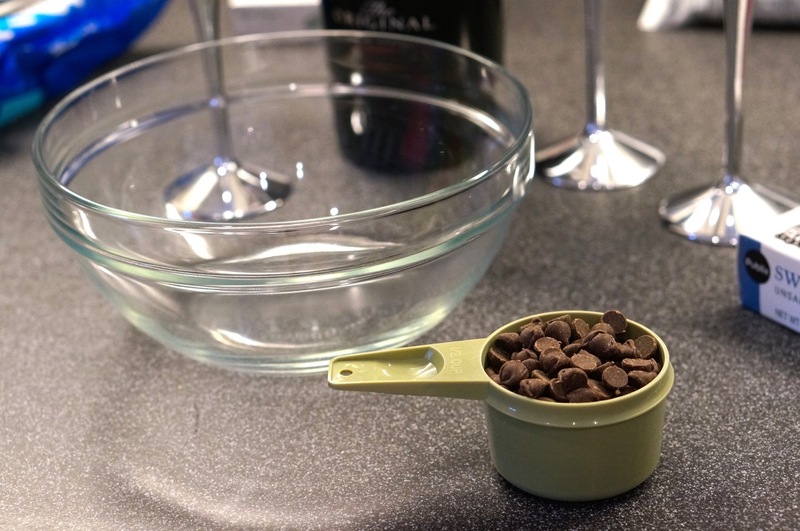 1) Put 1/2 cup of semi-sweet chocolates in microwave safe bowl. 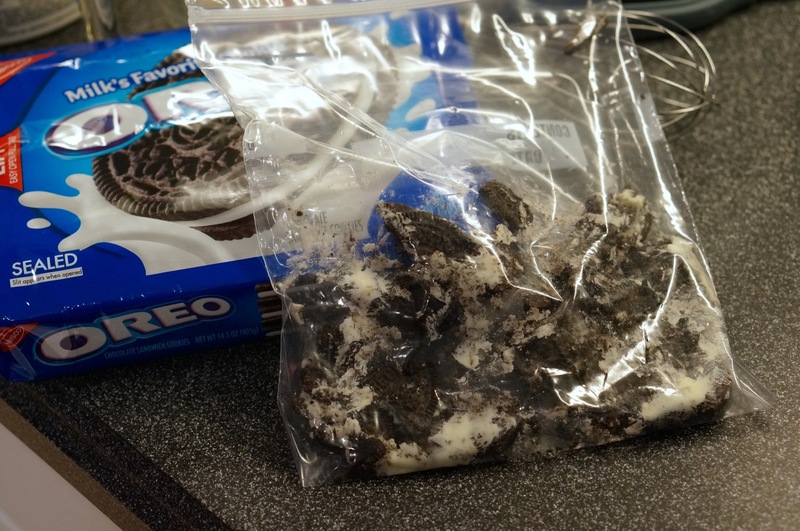 2) Melt in microwave on low power in 20 sec intervals. 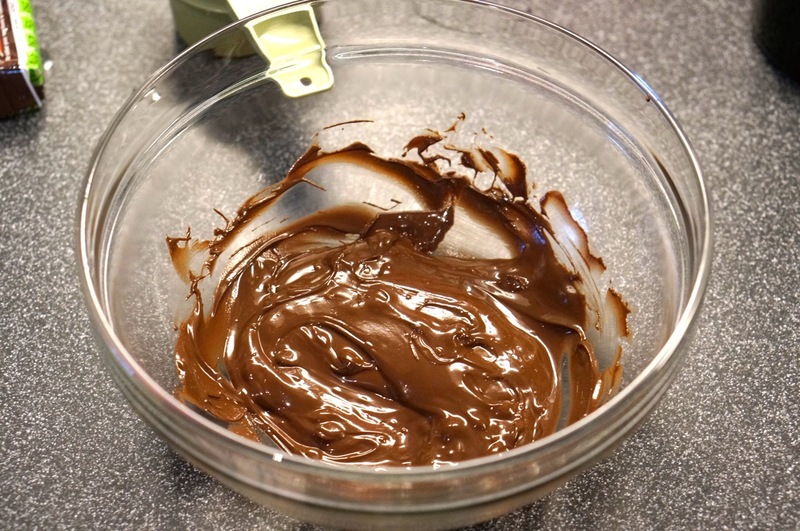 3) Add cream cheese to melted chocolate, and use mixer to blend. 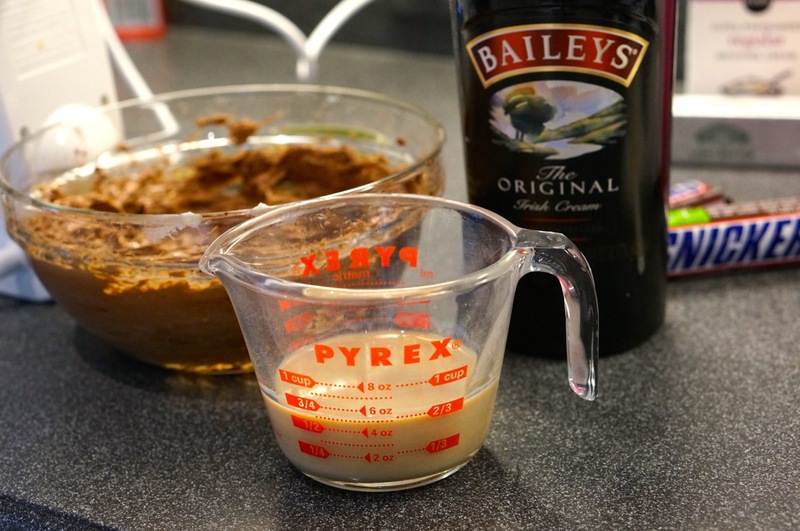 4) Stir in Baileys and vanilla extract. 5) Fold in 8 ounces of cool whip. 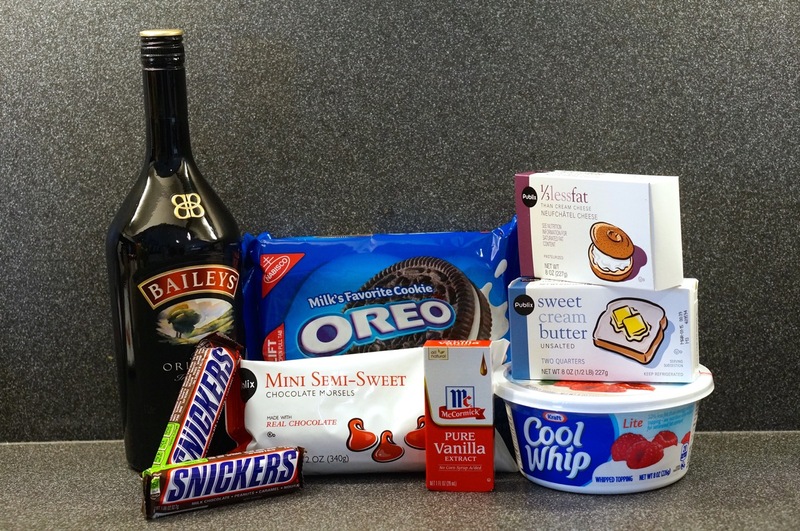 7) Layer your ingredients, starting with crushed oreos. 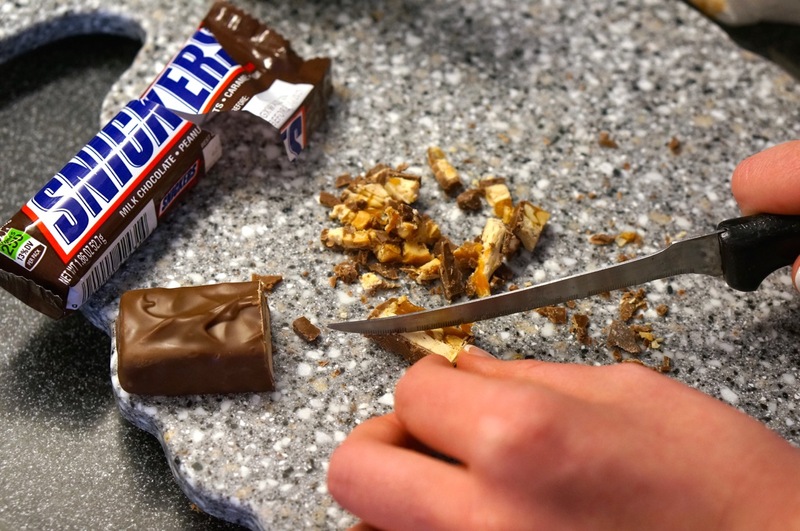 Chop up Snickers Candy bar, and add layer to the glass. 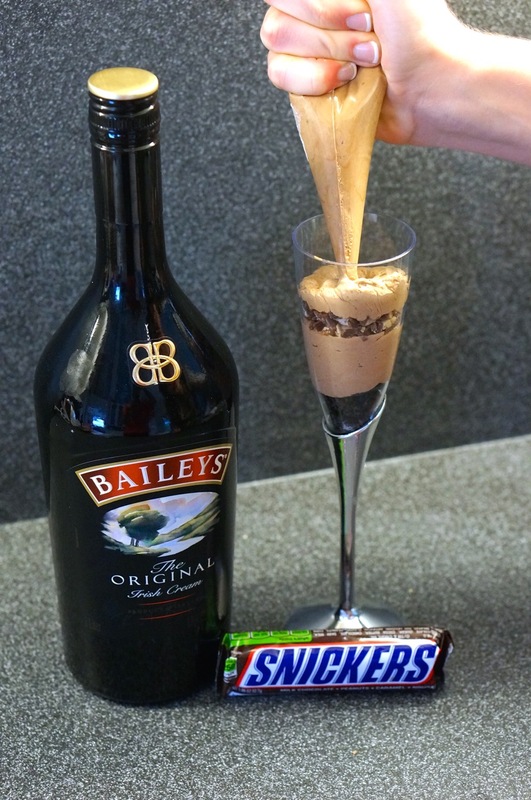 Add another layer of Baileys Cheesecake. 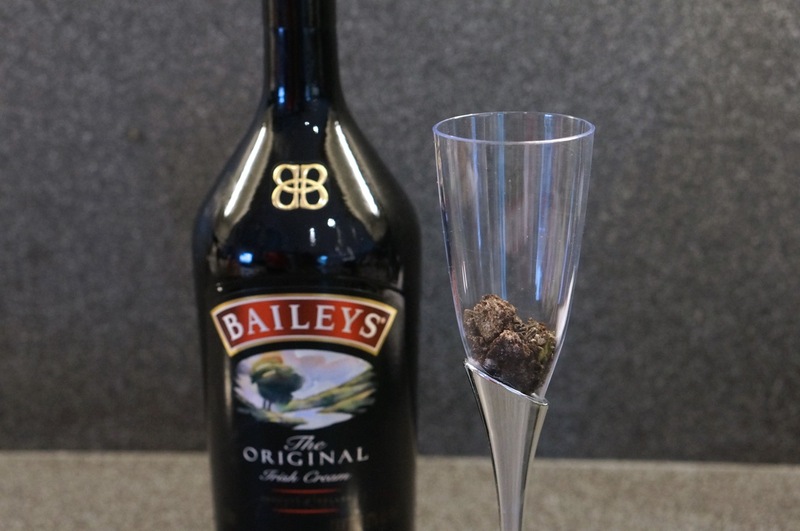 These were a big hit at our holiday party, and were easy to serve in the glasses. 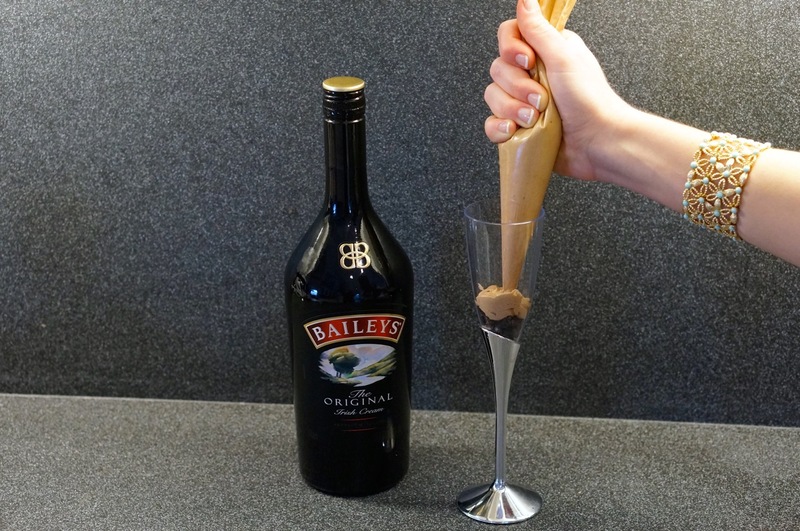 They can also be put in large shot glasses, or you can find cheap plastic champagne glasses at the party store if you are planning on having a big party. 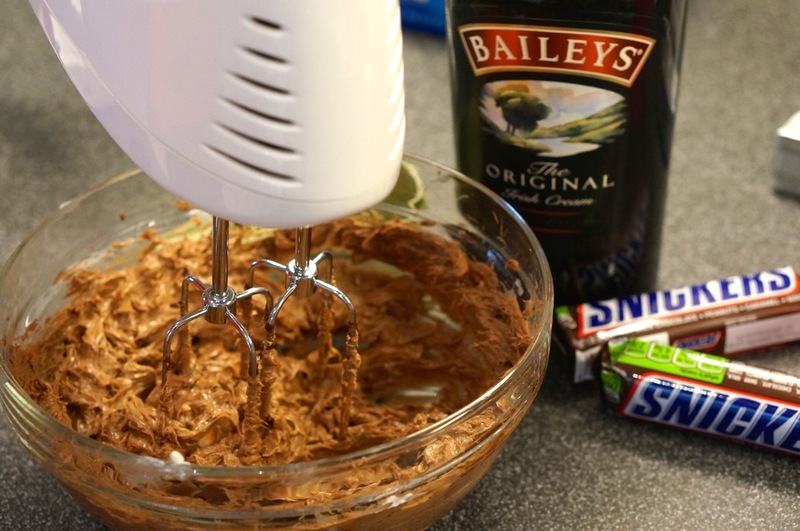 Follow me on Facebook for more fun recipes!